The Hummingbirds 100/14067 is a beautiful feminine palette of muted, pastel colours with the background of the print consisting of a soft off white/ cream colour and the hummingbird and leaf/ plant motif consisting of a variation of soft lilacs, pinks, pinks, pinks and yellows for an eye-catching, expressive art wallpaper design. 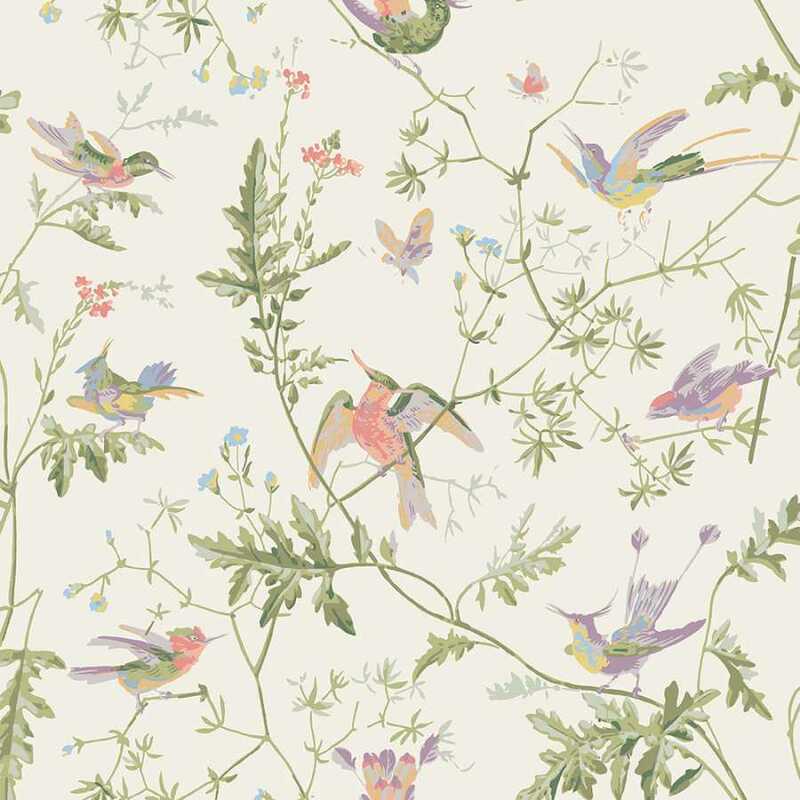 The much loved and ever elegant, Hummingbirds, has been revived in a range of five new colour palettes especially for the Archive Anthology collection for an extensive and versatile classic design. 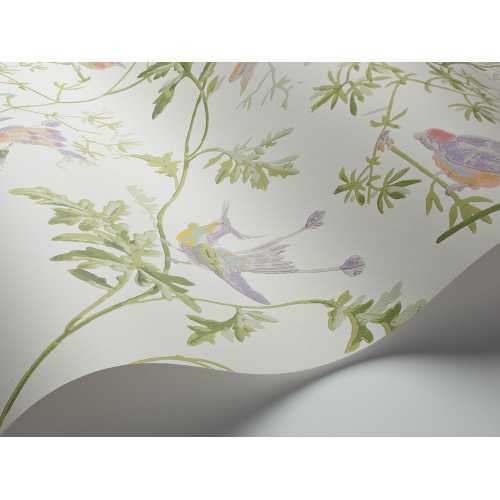 Archive Anthology is a contemporary collection of wallpapers celebrating some of Cole and Son’s most iconic designs and the reintroduction of designs found in the Cole and Son archive. The Archives Anthology Hummingbirds 100/14067 measures at 52cm width by 10meters (per roll) with a repeat of 53.7cm. To find out more about the other products in the Cole and Son collection and everything else in their range, please visit the Cole and Son brand page.